Bake at 350 for 30-40 minutes, until eggs are set. Easy and delicious…no complaints from me! If you like casserole with a little more “goo,” add a cup of milk or can of cream soup. 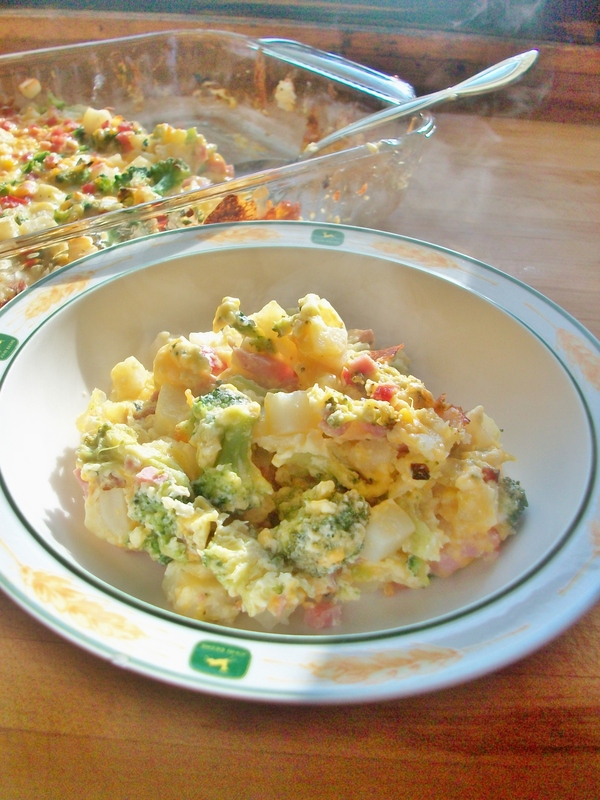 Posted in BreakfastTagged breakfast, broccoli, casserole, Cook, eggs, food, ham, hashbrowns, make ahead, overnight, potatoes o'brienBookmark the permalink.